There is a saying that says two heads are better than one. People who work together tend to do better when they team up with one another and provide better results than those who prefer to work alone. This principle not only applies in this aspect, but also in warning signal lights. There is no doubt that warning signal lights are extremely useful in many applications such as traffic lighting system, loading bay/dock lighting, aviation lighting, obstruction lighting for cranes, emergency vehicle lighting, etc, as they provide better safety precautions and countermeasures against accidents and other unnecessary or unfortunate incidents that may happen in each and one of the applications mentioned above. In order to maximise the effect of warning signal lights, they are being used together with audible warning signal devices such as sirens to better ensure the safety of working personnel and employees. 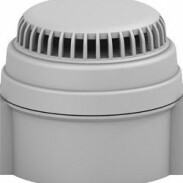 So this week we will be briefly discussing about an example of audible warning signal devices, the MDS-1 Motor Driven Siren which is also our product of the month for June. In this article we will also discuss about its primary characteristics and features that will surely help in maximising the effect of warning signal lights. 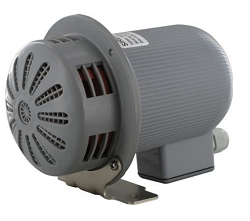 Constructed from UV Stabilised Polycarbonate – The MDS-1 Motor Driven Siren is compact and powerful motor driven siren that is constructed from UV stabilised polycarbonate. Polycarbonates are long-chain linear polyesters of carbonic acid and dihydric phenols, such as bisphenol A. One of the biggest advantages of polycarbonate is its impact strength which makes the material durable. UV stabilisers are added to polycarbonate to help protect the material from the effects of exposure to the Sun. Radiation from the Sun, especially in the UV portion of the spectrum, degrades the properties of polycarbonate. Low Frequency Sound – The MDS-1 Motor Driven Siren generates an instantly recognisable low frequency sound. It gives an effective warning over very wide areas and is very suitable in heavy traffic areas, intersections or other high ambient noise conditions. It also provides deep, low frequency tones that are able to penetrate into vehicles which alert drivers and pedestrians of an approaching vehicle. 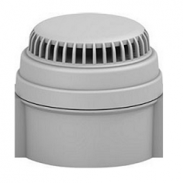 Ideal Lightweight Siren – The MDS-1 Motor Driven Siren is very ideal for all signalling and alarm applications where a lightweight motorised siren is required. 12Vuc, 24Vuc, 115Vuc and 230Vuc Models – The MDS-1 Motor Driven Siren is also available in these four different models depending on the desired intensity of loudness and application it will be used for. Plated Steel Mounting Foot and Fitted Cable Gland – With plated steel mounting foot and fitted cable gland, mounting it anywhere is possible and convenient. Mounting foot may be located in one of four positions to ease the mounting and cable entry. Although warning signal lights may already seem a great help and sufficient in maintaining safety precautions especially in applications such as loading dock/bay lighting, it is best not to only rely with these things alone. There may be an incident in the future where warning signal lights alone will not suffice to ensure the safety against unnecessary accidents which may cause harm not only to employees and working personnel, but also to the equipments and goods within the facility. As mentioned earlier, warning signal lights combined with audible warning signal devices will maximize the effect and potential of those two devices which guarantees the safety and security of every loading dock around the world.